Yeah as of September the 22nd it officially became Autumn! 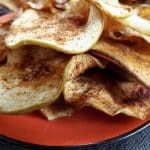 I love the fall season crisp fresh apples, you don’t need an excuse to have pumpkin with everything. Warm apple cider, hot chocolate on chilly evenings, warm comforting desserts like apple crumble and steamed puddings galore 😀 Need I go on? We all have a favourite foodie season and this one is mine. 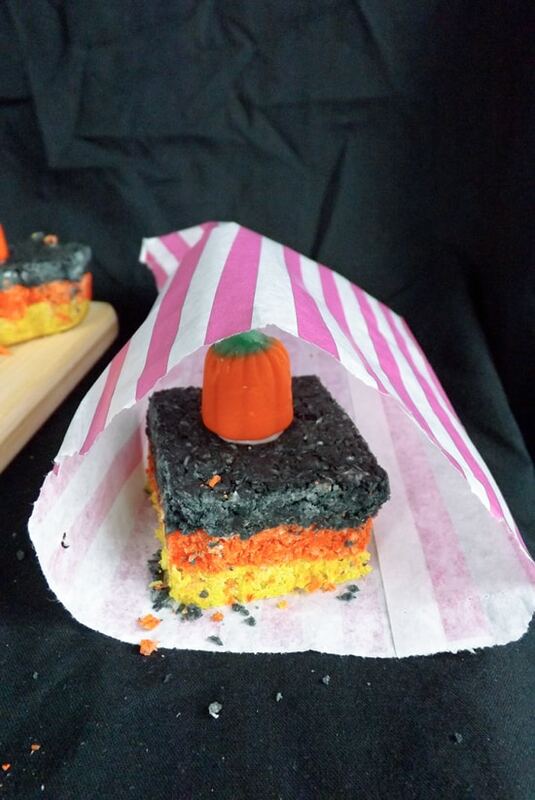 Oh and it is the season of Halloween!!! 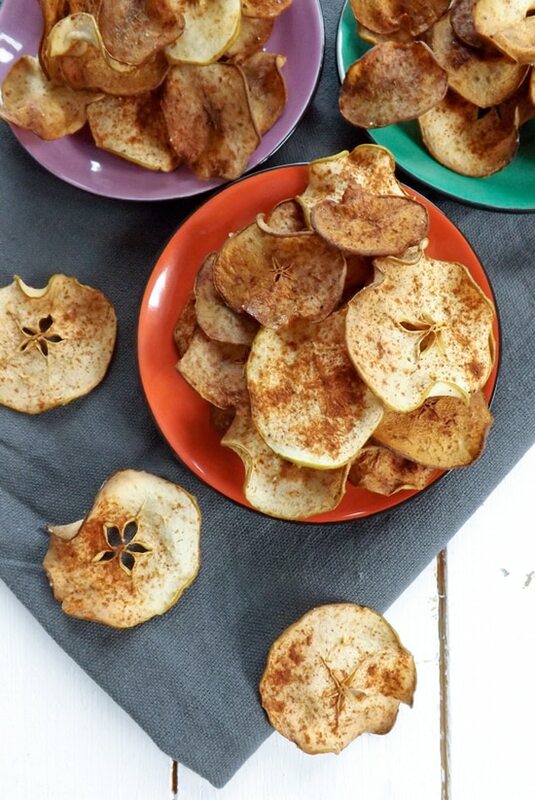 Anyway onto todays recipe, a healthy snack of apple chips sprinkled with homemade pumpkin pie spice. 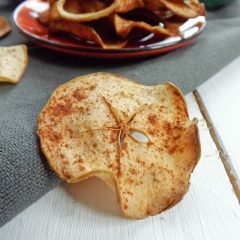 Now that we have our spice ready to go and trust me I will feature it a few more times this fall 😀 lets move on to these amazingly addictive healthy apple chips snack. What more could you want then a health snack that you can nibble on all day and not really worry about the calories. Yes there are a few in here with the measly 3 teaspoons of sugar but its not going to break the bank. I am lucky I have a mandolin so I can slice fruits and vegetables quickly and thinly, its nothing fancy and only cost me a few pounds. Bargain! But these can be done by hand as long as you have a steady hand and a sharp knife. Just cut them 1 or 2 millimetres thick and bake them, if they are a little thicker you will need to adjust your baking times accordingly. You can also use other fruits, in amongst these apples I also tried out pears. They were really tasty but were only good for a day then went soft where as these apple slices will stay good for the best part of a week. 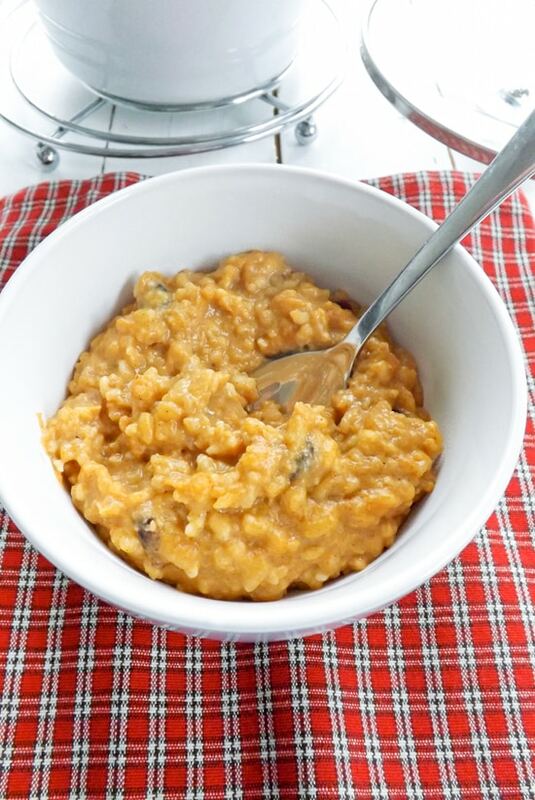 So enjoy a healthier snack that you don’t need to feel the guilt with and it tastes like Autumn. 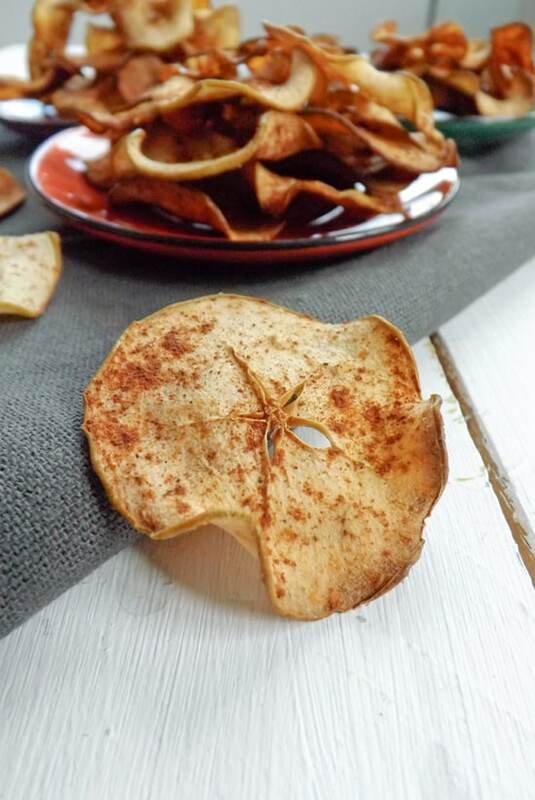 A healthy alternative to potato chips, sprinkled with homemade pumpkin pie spice. Get a small jar with a lid to hand. Measure out all your spices and put them in together. Seal your jar and give the jar a good shake so all the spices are well mixed. Like most spices this does have a limited shelf life. It will start to loose its potency after around 3 months. 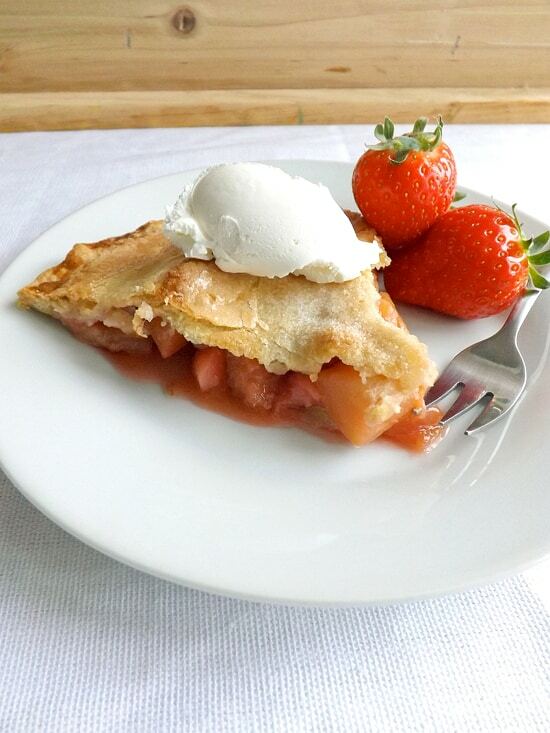 Preheat your oven to 150C / 300F / Gas mark 2 and get 2 large non stick baking sheets to hand. If you don't have a non stick sheet very lightly grease your baking sheets. In a small bow mix your sugar and spice together then place to one side. I am lucky and have a vegetable mandolin to do the hard work for me. If you don't have one using a sharp knife very thinly slice your apples 1 to 2 millimetres thick. 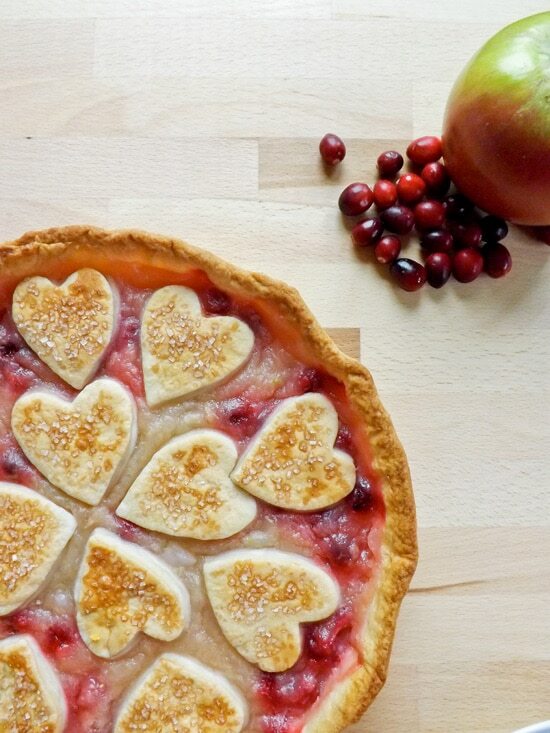 Slice all three of your apples up. 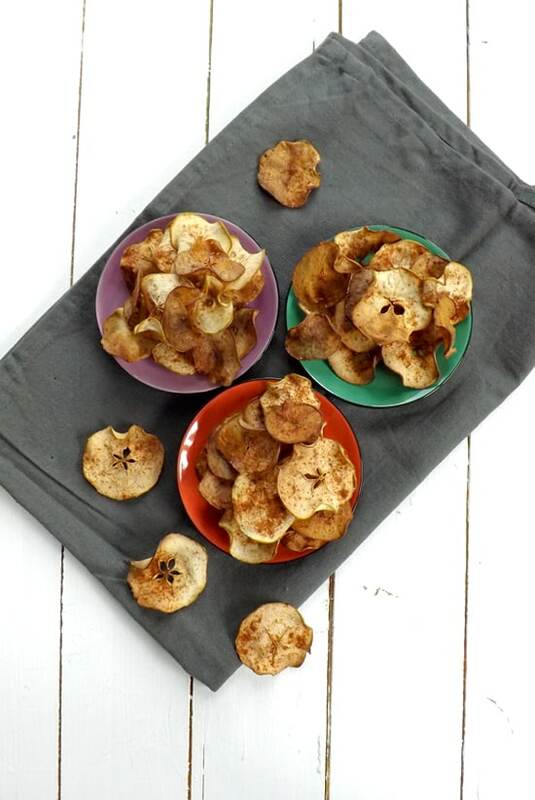 Place your apple slices on the baking sheets and sprinkle half of the sugar and spice mix over them and pop them in the oven for 20-30 minutes. You are looking for them to have started to curl up around the edges and turn a very light olden colour. 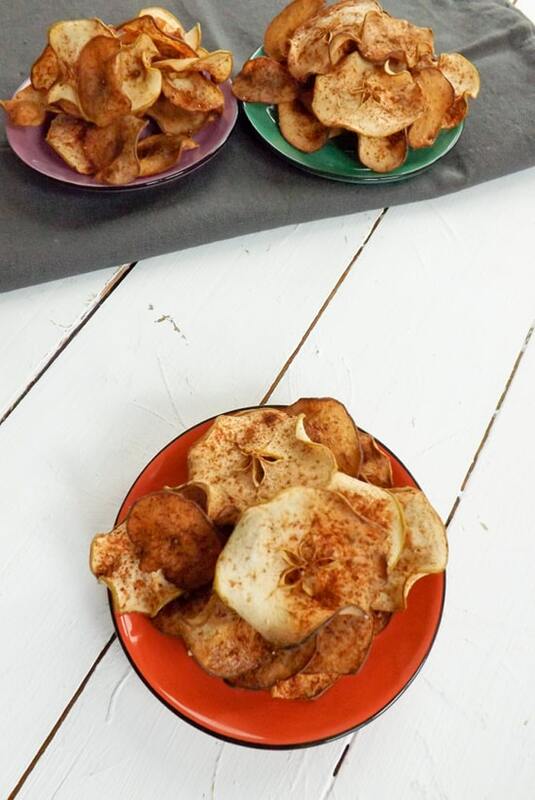 After 20-30 minutes take the trays out and flip the apple slices over and sprinkle the remaining sugar and spice mix over the apple slices. Swap the trays about in the oven and bake for another 20-30 minutes. 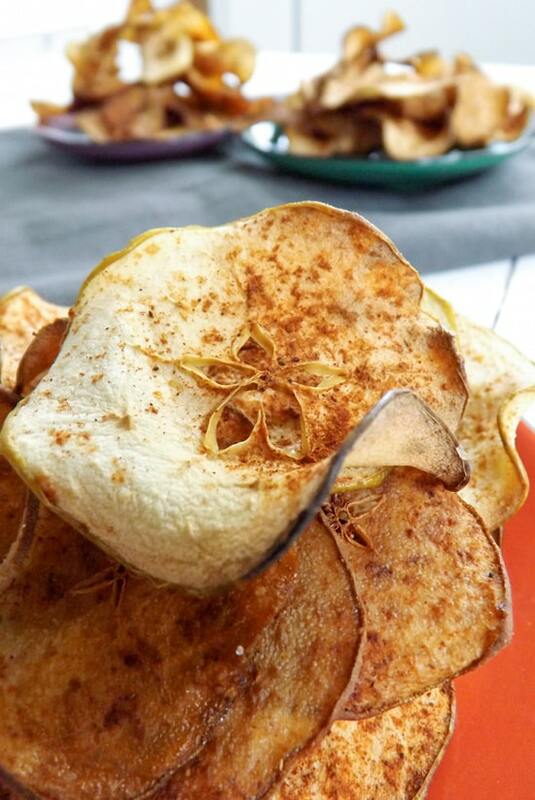 Once baking time is up remove them from the oven and carefully place the chips on a cooling rack. Once cool, store at room temperature in an airtight container for up to one week and happily snack away. Ohh.. What a sweet idea 🙂 Did you cut out the seeds? Hi Maureen they are a good easy health snack to share 🙂 It must be strange acclimatising to life down under where the seasons are all topsy turvy to how you grew up! 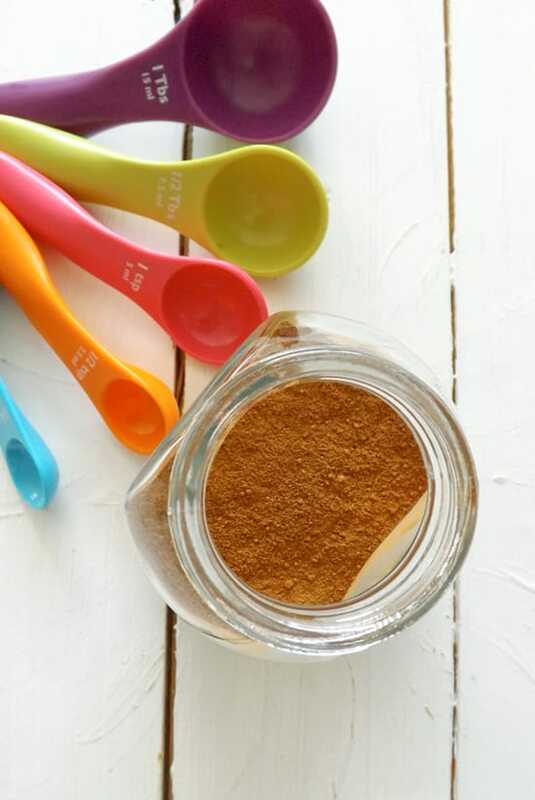 I’ve spotted a few recipes for pumpkin pie spice mix lately and must give it a try. These look like an amazing snack! 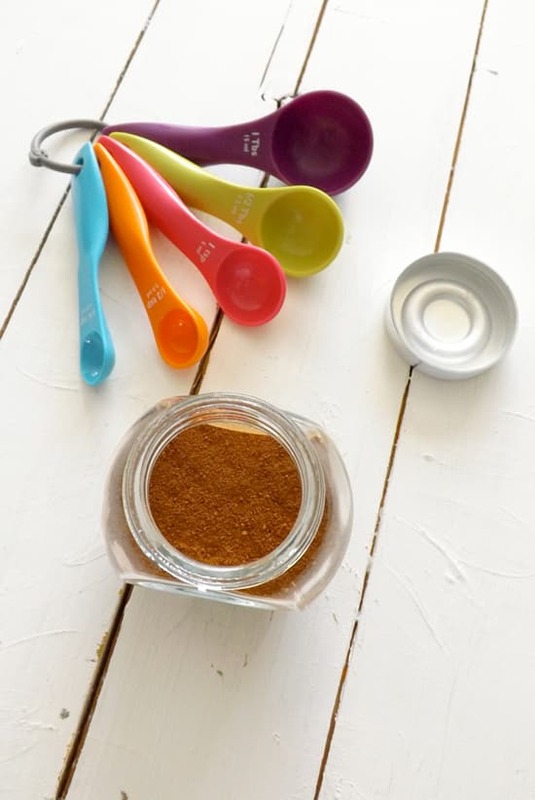 Hi Natalie thank you so much, I have just been over to your blog and can’t wait to have a good mooch around 😀 Definitely give pumpkin pie spice a go its so simple and so versatile! 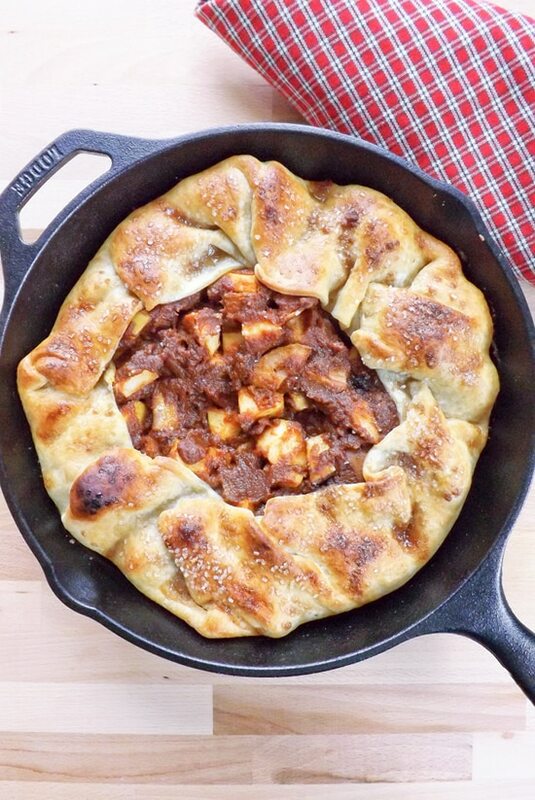 You have no idea how much I love this recipe. Thank you!! !